Looks like our Air Force is being run by idiots. It's probably not their fault that the current war has no need for strategic bombing or air supremacy fighters. But you'd think that they'd at least take the free time this generates to improve themselves. You know, streamline procurement regulations, develop new strategies and technologies that are actually useful in defeating our enemies, stuff like that. Most of you are probably unaware that the Air Force has a very old fleet of refueling tankers. Most of these planes were built back in the 1950's and 1960's. Most of them are going to fall out of the sky soon, and the ones that don't are extremely fuel inefficient. There is a strong argument for making the capital investment ($100B over 20 years) in replacing the fleet with new planes. Now, there are only two companies that make big planes these days. This fact you may have heard before. The two are Boeing and Airbus. Boeing is an American company and Airbus is a British, French, German conglomerate. Airbus is also partnering with Northrop Grumman (an American company) to help build and service their planes. 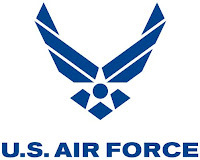 The Air Force held a competition to select one company to build the new fleet. They picked Boeing. Airbus/Northop complained and the Air Force overruled them. Then Boeing got caught bribing the chief procurement officer at the Air Force. The Air Force decided on a do over. This time, Airbus/Northop won and Boeing complained. Then the Air Force secretary and his chief of staff got fired. The Government Accounting Office issued a report complaining about irregularities in the selection process. Today, the Secretary of Defense said there was going to be another do over, but this time his office, not the Air Force, would run the process. Most people I meet around the country think DC is full of corrupt politicians, bureaucrats and lobbyists. I say, "no, no, we have a bad rap- we're selfless patriots doing the people's business." They complain about the revolving door between government and industry, and I say, "no, no, you don't understand. It's not like that" Then they point to the tanker deal and I don't have anything to say. It's embarrassing. What a debacle. Usually I agree with your posts, yet I find this one too simplistic. The procurement process for a multi-billion dollar military purchase is very complex and involves multiple layers of oversight -- both agency and Congressional. No question there have been missteps with how the Air Force has conducted this procurement. Yet, it's not as easy as heading over to Home Dept to pick up a new lawnmower.